Very Good. Glued binding. 572 p. Scarpetta, 17. 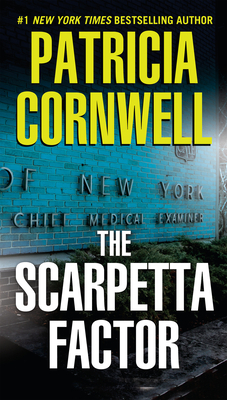 Forensic expert Kay Scarpetta is surrounded by familiar faces, yet traveling down the unfamiliar road of fame. A CNN producer wants her to launch a TV show called "The Scarpetta Factor." But the glare of the spotlight could make Kay a target. Available in a tall Premium Edition. Very Good. 0425236285 Ships from Tennessee, usually the same or next day. Good. 0425236285 Ships from Tennessee, usually the same or next day. Good. Book may show some wear. Used books may not contain supplements such as access codes, CDs, etc. Every item ships the same or next business day with tracking number emailed to you. Get Bombed! !